Why would I need self storage in North Brunswick, NJ? There are a variety of reasons why you might need self-storage in North Brunswick, NJ. How much is a storage unit in North Brunswick, NJ? The cheapest storage unit in North Brunswick, NJ is $67.00 per month. What size storage units do you have available in North Brunswick, NJ? In North Brunswick, NJ we have sizes that range from 5'x5' to 10'x30' to suit your storage needs. How much is it for a 5'x5' storage unit in North Brunswick, NJ? The cheapest 5'x5' storage unit in North Brunswick, NJ is $67.00 per month. North Brunswick, officially called North Brunswick Township, is a growing community in New Jersey, very near New Brunswick. Newark is only about 25 miles away, and New York City is roughly 40 miles away. North Brunswick was first incorporated in 1798, making it one of the oldest townships in New Jersey. As a resident of North Brunswick, you'll be able to enjoy life in a convenient location. Head to New York City to enjoy the attractions of the Big Apple, including the Metropolitan Museum of Art or one of the many other exciting museums in the city. Catch a show on Broadway, visit Times Square or take advantage of the many shopping and dining destinations. You're just over an hour's drive from big-city amenities and entertainment. Newark is even closer and offers plenty of attractions. There's plenty to do and see within North Brunswick's township limits. It's been named one of the best places to live in New Jersey, thanks to the high quality of life its residents enjoy. The community is home to a large and vibrant Italian-American community, which has enriched the local culture with an Italian flair. There are more than 150 Italian pizza restaurants in North Brunswick alone, and the Carnevale Italiano is a large annual event celebrating Italian culture. Other popular local events are the North Brunswick Youth Sports Festival and the annual Heritage Day in Babbage Park. The township also offers small educational events and gatherings, including bike safety workshops, charity book sales and holiday 5K runs. The North Brunswick Township Public School District is responsible for the schools in North Brunswick. Some of the schools have earned national recognition for academic performance. There are a few private schools in the township, though most serve children under 5. A campus of Rutgers University is located on the edge of North Brunswick, and there are a few other small college campuses in the area. Utilities: Major utilities providers for North Brunswick are Public Service Electric & Gas and the North Brunswick township utilities department. Garbage and Recycling: You'll receive a large disposal can to use for trash collection. The community is divided into collection zones, with some homes having twice-weekly collection. Transportation: North Brunswick and Middlesex County are part of the New Jersey Transit public transportation system. 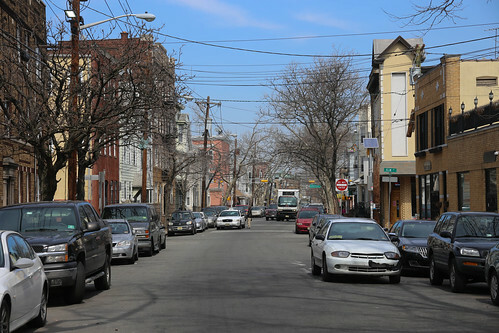 Single-family dwellings and a mix of town houses and apartments are available in North Brunswick. Home prices are steadily increasing in the township, especially as it becomes a popular home base for commuters who work in nearby metropolitan areas. You can expect a median home price that's well above the national average but fairly affordable when compared with the median prices in many neighboring cities. Our lowest priced units in North Brunswick, NJ average $67.00 per month. 70 people have reserved units in North Brunswick, NJ in the past 30 days. There is 1 location within North Brunswick, NJ's city limits. There is 1 location in North Brunswick, NJ that offers AC and Heating features.